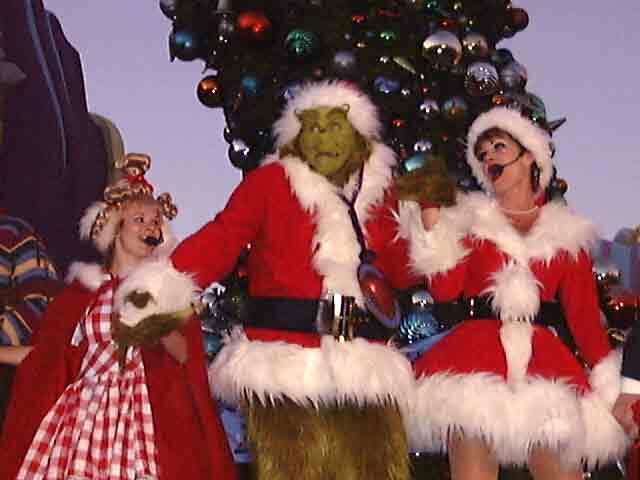 Photos of that mean green old GrinchyClaus! If you have courage. If you are brave. Do you have courage? Are you real brave? 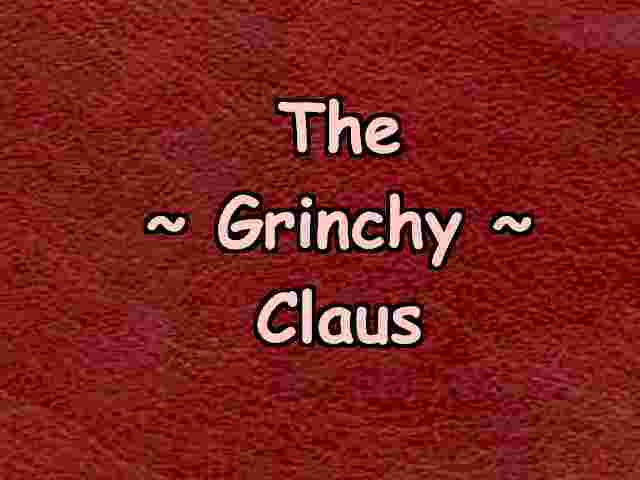 Would you like to see... the GrinchyClaus Cave? 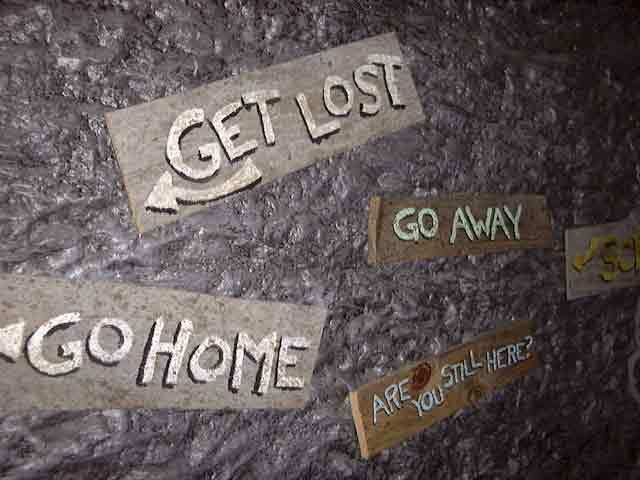 Then step right this way! 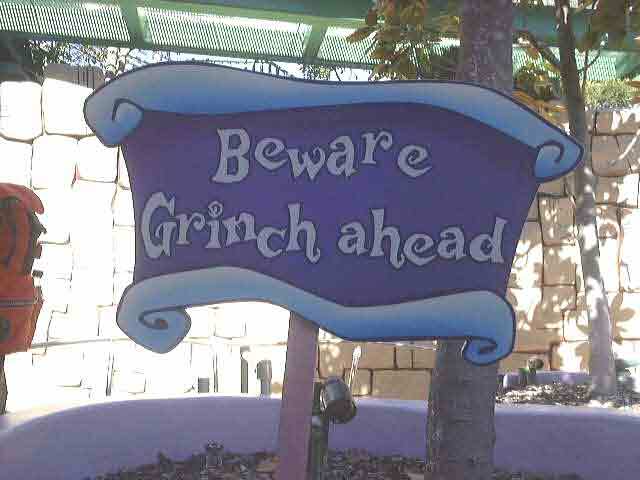 Beware GrinchyClaus Ahead! Turn around while you still can! Now you're getting really close to the Mean Green One! This is the way to the GrinchyClaus Cave! Looks like our Mean Green Friend is sleeping! I'll bet he fell asleep after eating everything in his lunch bucket. Maybe we can sneak away before he wakes up? "Oh! Oh! 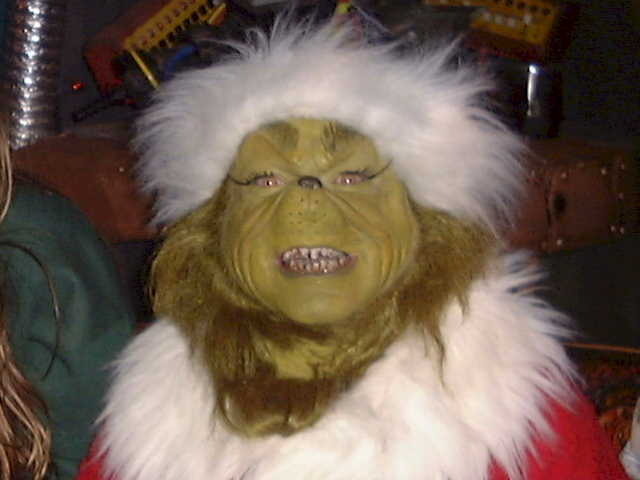 Looks like the GrinchyClaus woke up! Whew, does he have bad breath! I think he's stealing something! 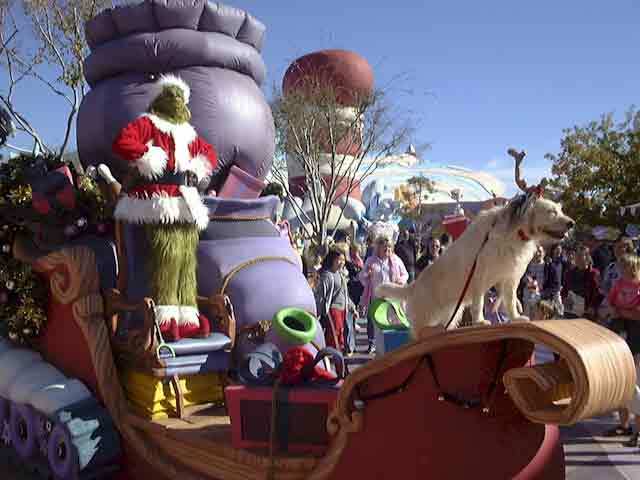 Hey, what are GrinchyClaus and Max doing on that sleigh? And why is it full of presents? 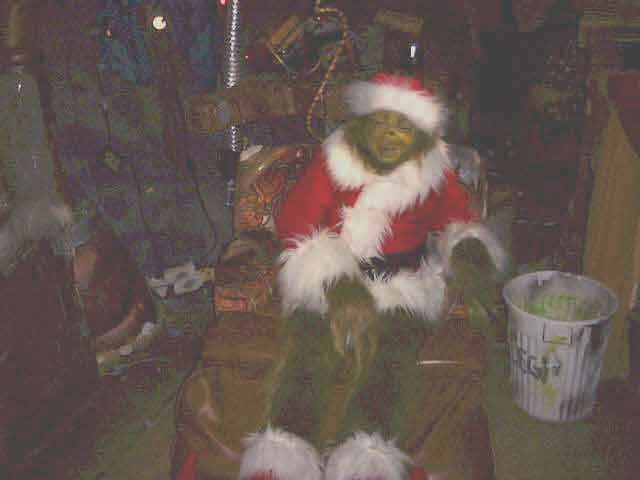 Up to his old GrinchyClaus tricks? 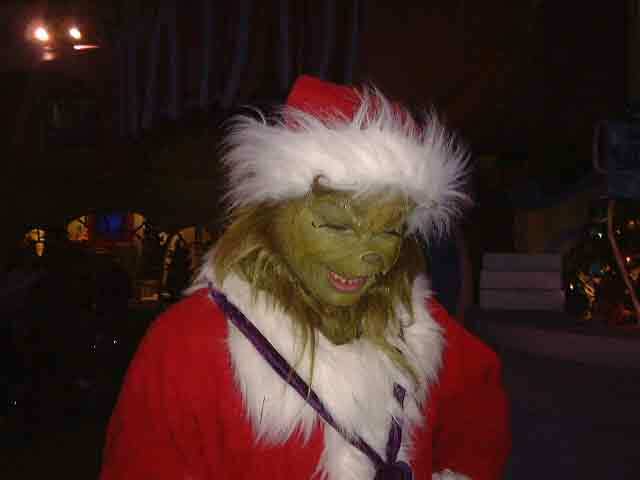 I should have known that old GrinchyClaus was up to no good! That looks like a present in his hand! Oh boy, GrinchyClaus has snitched a whole sack of goodies now! No wonder the elves can't make enough presents for everyone at Christmas! Is he off to Mount Crumpet? That ol' GrinchyClaus is back on Santa's sleigh again! I hope he's not thinking of stealing Christmas! 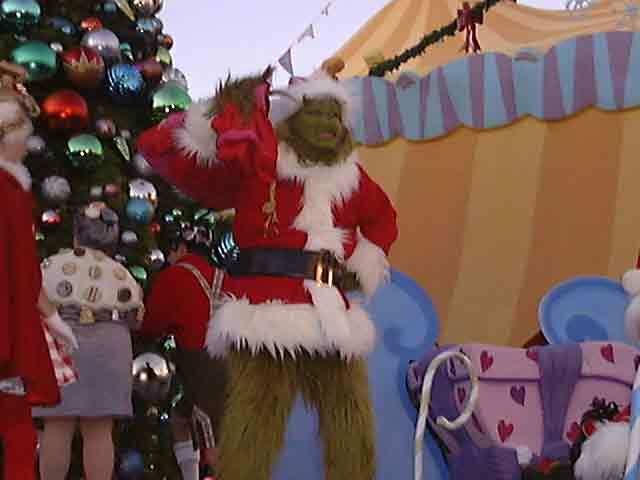 Now that's one happy looking GrinchyClaus! Do you think he has a tummy full of cookies? Maybe he really isn't so bad after all? Hmm, I guess I spoke too soon! 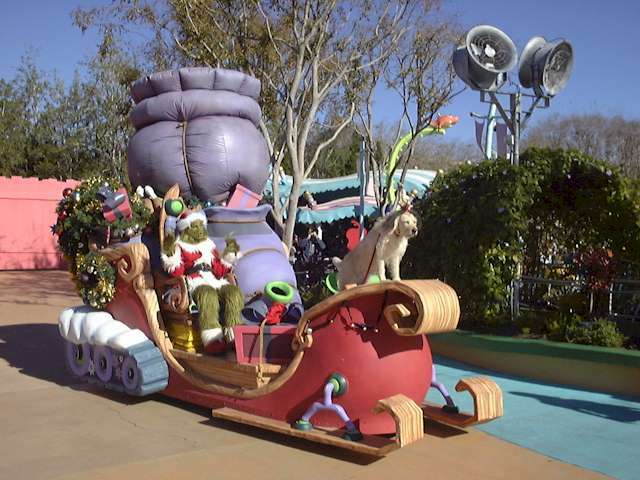 I think that old GrinchyClaus is showing us his best side. What do you think? Click here for more Fun Things to Tweet at emailSanta.com! Get a reminder to come back to emailSanta.com closer to Christmas! Come on Christmas Eve Day to watch Santa & his reindeer LIVE on the Santa Snooper! You can also help "Elf Control" track & talk to Santa Claus on his famous flight & get a letter from Santa! Santa's Magical Christmas Photo Albums: Links to all the photo albums below. North Pole: A Winter Wonderland! See the North Pole, elf huts and the new elf village! Santa's House: The home of Christmas, it's Santa and Mrs. Claus' house! Santa's Workshop: The elves' workbenches are all here, complete with elves, lots of toys and present wrapping machines! Reindeer Barn: See the reindeer barn, Santa's sleighs, polar bears and reindeer of course! Santa Parades: Pics of Santa and Mrs. Claus with antique fire trucks, old cars, trains and transport trucks!